People with mid back pain normally present with pain between or around the shoulder blades. The pain can be in the middle, on the left or right side, or on both sides. A sudden movement to the thoracic spine may have triggered the pain or the pain may have commenced gradually over a period time. Twisting and turning or side bending of the spine usually will aggravate the thoracic pain. Numbness or pins and needles along the rib cage at the affected level may be reported. Signs and symptoms along the dermatomal distribution are more predictable in the thoracic area, however, symptoms may vary in certain cases. Injury to the adjacent cervico-thoracic spine may refer pain to the shoulder area. The lower thoracic region cannot be overlooked in patients with buttock, hip or inguinal symptoms. The internal organs that lie in close proximity with the thoracic spine must be checked as these organs are capable of referring pain to the spinal region mimicking a mechanical spine injury. The range of motion and mobility of the intervertebral segments in the thoracic spine should be carefully assessed. The paraspinal and periscapular muscles should be examined for tightness, trigger points and weakness. The lower cervical and upper lumbar spine should be included in the physical examination due to its close proximity to the thoracic spine. Neurological examinations of the spine can be performed to rule out neural structure damage. 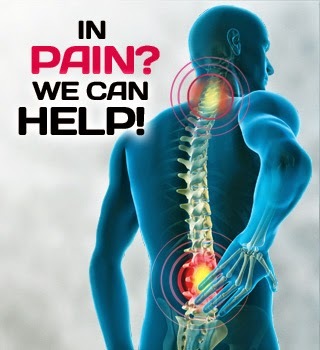 Chiropractic Specialty Center offers the best chiropractic treatment and physiotherapy for back pain in Malaysia. For more information or inquiries, please contact us at 03-2093 1000 or visit our website.